In June 2014, the Department of Health and Human Services’ (“DHS”) Office of Inspector General (“OIG”) issued a “Special Fraud Alert” about laboratories that are paying physicians to send in patient blood specimens for testing. Do you know about a lab that is paying or bribing physicians to send blood or other lab specimens for testing? See if you have a whistleblower lawsuit on your hands by talking to our Atlanta lab fraud attorney at The Wallace Law Firm, LLC. We can see whether your case falls under the False Claims Act, the Stark Act or the Anti-Kickback Statute. Attorney Lee Wallace, our lead attorney, is an award-winning lawyer recognized as one of Georgia’s Top 100 Lawyers and one of the Top 50 Women Lawyers. We accept cases nationwide. Call us for your FREE consultation. Some clinical labs are paying doctors to collect, process and package blood specimens from their patients. If Medicare is already paying the physician for the work, then the payment from the lab amounts to a kickback. If even one purpose of the kickback is to induce or reward the doctor for referring Medicare or Medicaid business to the lab, then both the lab and the doctor have violated the Anti-Kickback Statute (“AKS”), 42 U.S.C. §1320a-7(b). Labs aren’t allowed to pay doctors for sending in lab specimens, but that hasn’t stopped labs from trying. The OIG Special Fraud Alert about “Registry Arrangements,” which are a back-door way for a lab to pay a doctor for sending patient samples in for testing. Instead of paying the lab for the sample itself, the lab pretends that the specimen is just “patient data” being submitted to a registry or database — and pays the doctor for submitting patient data. The Government is on to the scam. If you know about a lab that has set up a Registry Arrangement or other clever way to try to sneak around the laws that prevent bribery, you may be eligible to be a whistleblower. As a whistleblower you can receive 15% – 30% of what the Government pries back from the lab. Congress passed the Stark Act and the Anti-Kickback Statute to try to stop this kind of fraud. Congress realized that the company has to cover the costs of bribing the doctors. Once the payments become “a cost of doing business,” the costs of the test spiral upward, leaving Medicare and Medicaid with an increasing bill. If a lab is violating the anti-kickback act by paying doctors for blood specimen testing referrals, then it is committing fraud. Suspect Fraud? Report it Today by Calling (404) 814 0465. By filing a whistleblower suit, you can stand up to fraud and also get a percentage of what the Government recovers. Contact a whistleblower lawyer at The Wallace Law Firm, LLC, today to find out more. Lee Wallace was first in her class at Vanderbilt, and an honors graduate of Harvard Law School. She devotes her practice to representing people like you who are tired of healthcare fraud and abuse. Receive compensation amounting to 15% to 30% of what the Government collects as a result of the lawsuit. Ready to get started?  Call for a FREE consultation with an attorney.